Me too! Let me explain. 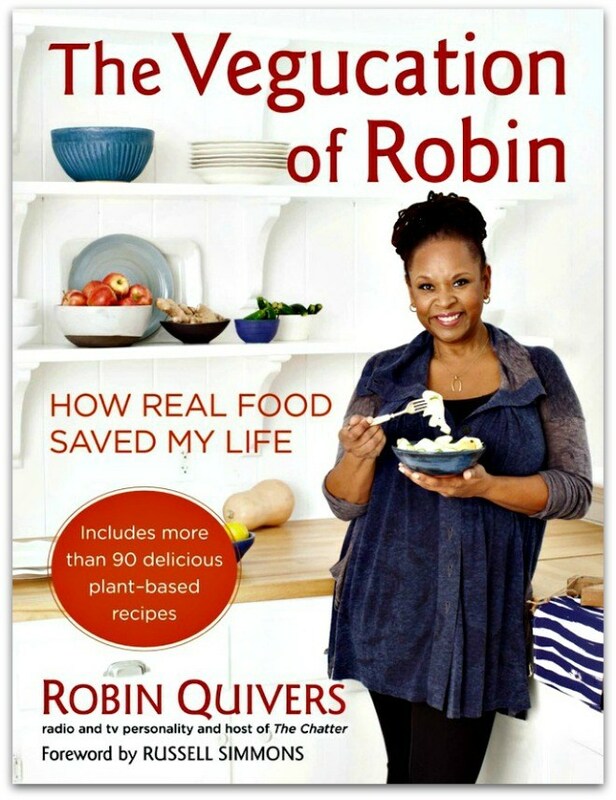 Robin Quivers, Howard Stern’s partner on his radio show, has a new cookbook out, “The Vegucation of Robin.” No matter what you think of Howard, Robin tends to be universally liked. Well, she has gone vegan and written a cookbook, but found herself sick with a terribly large cancerous tumor. She credits her becoming healthy due to veganism with her flourishing through chemotherapy, radiation and now being declared cancer free! She was recently on the Rachael Ray show and they made her Cream of Mushroom Soup. That’s when Rachael declared it the best cream of mushroom soup she’s ever tasted! She declared that the use of fennel and coriander seeds was brilliant! I have to agree.